We offer a wide selection of luxury manicure and pedicure services in our clinic. 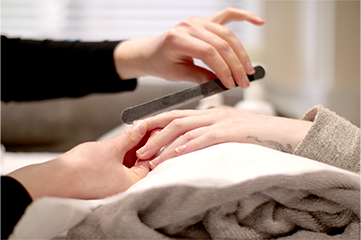 We specialise in filing and polishing, nail shaping, gel application and advanced cuticle care. 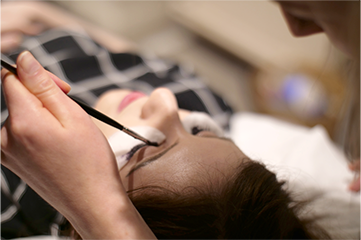 We offer a range of treatments for lashes and brows including tinting to give your brows and lashes extra colour using semi-permanent colour that typically lasts 4-6 weeks. 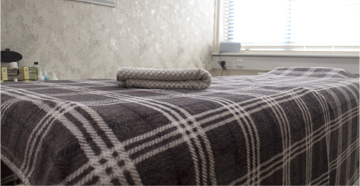 We offer a wide range of massage to help focus on relaxation, muscle soreness and relieve everyday stresses. 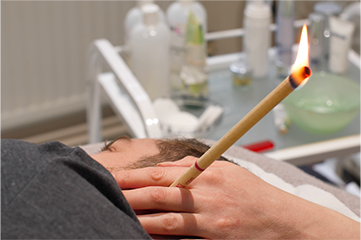 A complimentary therapy that aims to help symptoms associated with the ear, nose and throat such as hay fever, migraines, sinusitis and excess ear wax. 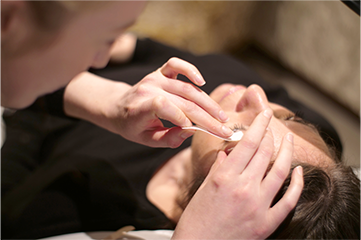 We offer a range of hair removal treatments to target every area of the body and face for smooth long-lasting results. Using the new Cynosure Elite aesthetic laser system to remove unwanted hair in just a few short, painless treatments. 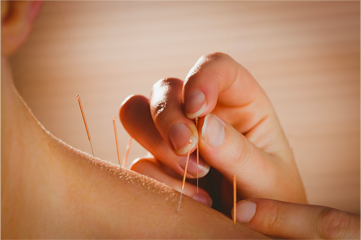 Fine needles are inserted at certain sites in the body, acupuncture points, for therapeutic or preventative purposes. Wellness Chiropractic is a drug-free health system based on natural health principles which treats all aspects of a person’s well-being, not just their bad backs. Yoga is a practice that can offer new sources of hope, strength and courage. 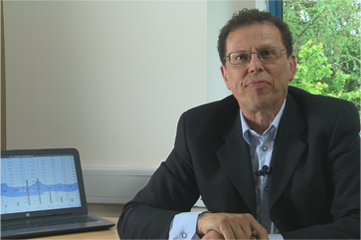 Identify any structural/functional contributions to pain/injury affecting lower limb function using orthosis prescription and video gait analysis. Evidence-based guide to maximising your health though individually formulated nutritional plans. *Available on selected beauty treatments only. Excludes all laser treatments. Proto-col wellness clinic offers you a complete solution to your health and beauty needs in a rural part of Westbury. With treatments from beauty and spa and acupuncture to nutritional therapy, including personalised nutritional plans and laser hair removal. We pride ourselves on offering a professional and friendly environment for you to come and relax and unwind. We also offer a personalised service of skin analysis for those wanting a facial to help reveal your skin condition, as well as the skincare and ingestible products to effectively deliver all-over skin health. To assess progress and accuracy of product regimens, receive skin analysis every 4-6 weeks. The clinic offers ample parking, beautiful treatment rooms, a gym and yoga studio. For directions from Westbury town centre to the clinic, click here.